General steel, soft steel, etc., General steel, soft steel, etc. Tap for 5M under hole so sharpness is also good and no problem. This review is about item#8236252. I bought it for 3 mm pilot hole, Whether the core is blurred, it becomes a hole close to 3 mm. Measured with a caliper is 2.5 perfectly, but I tried about 5, I dispose of it because they are all the same and not usable. Just to be sure, we compared it with other Kiri destinations that I have, After all it is just strange here. This review is about item#8236182. I am using it to make holes in steel. It may be that there is some strength. Whether this is bad is pretty, it breaks. It might be good even if a sticky material is used. This review is about item#08236252. I am dissatisfied with durability which is easy to break compared to other products. Even if you use drilling oil, it tends not to cut. It seems to be suitable for DIY. As a professional tool it is recommended that about 2 millimeters of iron is used. This review is about item#8236216. I think that it is very cheap. 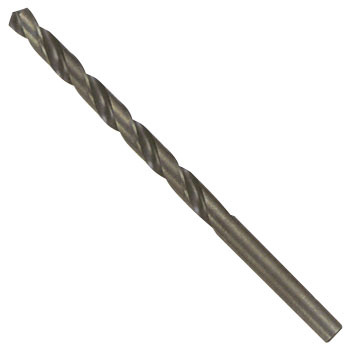 It is used in multi-axis drilling machine. It is a feeling I gained. This review is about item#8236261. Although I use only two out of ten, one will shift the center even if using a punch. As it is still a consumable item, it is nothing more than cheap to use. Although I do not use it much yet, cost performance is good, but durability is not good. This review is about item#8236243.